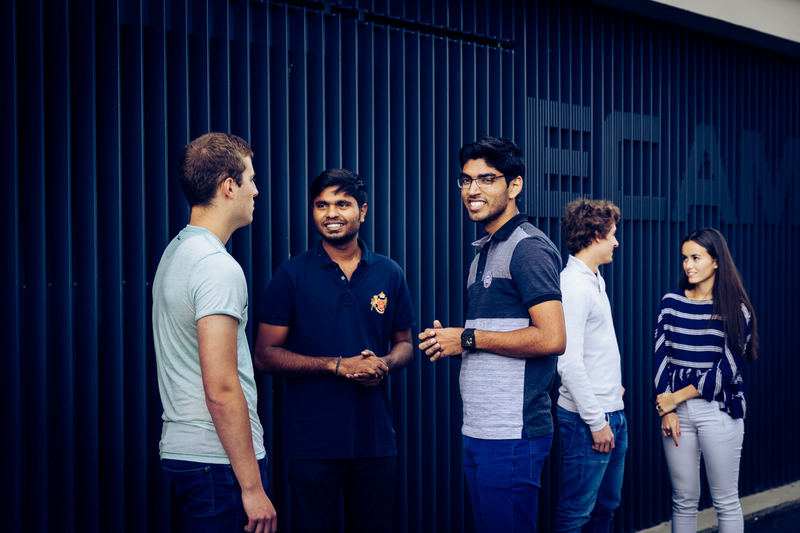 With its campus in the heart of Lyon, ECAM Lyon welcomes students from all around the world in a vibrant and dynamic setting. International students have the unique opportunity to combine in-depth scientific and technical training with cultural curiosity and discover a unique way of learning that requires high levels of academic performance and a strong focus on the human dimension. As a Lasallian institution, ECAM Lyon places a high priority on individualized support for all its students. Exchange students are guaranteed on-campus accommodation and receive personalized help from the International Office and from their own ECAM Lyon student-mentor during the stay. They are quickly integrated into the ECAM Lyon community, the student life and the city of Lyon. The ECAM Engineering program in Electrical and Mechanical Engineering is France’s first engineering degree program entirely taught in English. Students from ECAM Lyon partner universities are welcome to study for a semester or a year in this new and innovative program. Exchange students take classes in the second or third year of the program depending on their level of studies at their home universities and receive credit from their home university through a credit transfer system (ECTS in Europe.) Prospective applicants need at least a B2 level in English to enter the program. For further information please consult the “Fact Sheet for Exchange Students” and your university’s international office.